The City of Arvada, is a Home Rule Municipality located in the suburbs of Denver, Colorado with a population of approximately 109,000. The City of Arvada needed to replace their outdated, antiquated budgeting system. The Questica Budget solution provided them with a fully integrated system that was easy-to-use and affordable. Arvada budgets differently from many municipalities in that they recalculate the current year as well as the five and ten-year budgets, as a matter of checks and balance. Budget preparation begins in February each year and is completed in October. The process involves over 40 Department Managers and six Finance team members. The City prepares budgets for their Enterprise Funds first and loads them into the system. Once this is complete, the task of creating the budget begins. The Operating budget is straightforward — the City budgets for five and ten years, so they just take the planned budget and pull it forward. Salaries budgeting, however, posed an enormous challenge, requiring a complete clean sweep of over 700 employees. The only way to create a scenario was in a cloned budget set up in a test environment. Each time a test was run, it wiped out all the other line item and operational data, which would then have to be manually recreated. Creating scenarios was extremely slow — even a basic scenario could take a week or two. In addition, there was no ability to budget for individual benefit elements such as dental, medical, etc. They could only budget benefits as a whole unit. The City used a “Public Sector” budgeting tool that was relatively integrated with their financial system, but very unstable. Although the process of integration between the HR and budget system was straightforward and familiar to everyone, it was heavily manual and required lots of double checks and verifications. This made the process time consuming, leaving little time for the Finance team to spend on analysis and supporting the departments in their budget development. The City of Arvada knew their old budgeting system was outdated and antiquated, and released an RFP for a solution that would integrate with their financial system, was easy-to-use and was affordable. They received bids from vendors covering a broad range of solutions and pricing, but many of the larger solutions were just too complex for what the City was looking for. After seeing a demo of Questica Budget they were surprised at how easy and logical it was. The decision was clear. 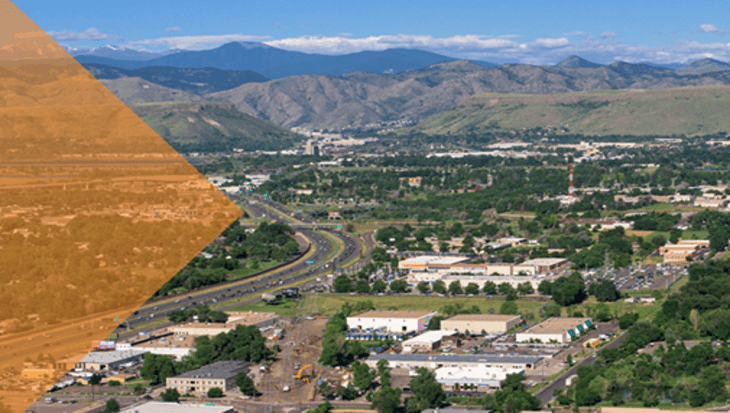 Following a quick implementation with Questica managing the integration of the systems and Arvada loading the data, the City has completed a full budget cycle with Questica Budget and is enjoying several benefits. Questica Budget enables the City to run short and long term cost evaluations on potential new hires, providing them with the clarity required to make solid staffing decisions. Although the City hasn’t yet started using the Snapshots functionality within Questica Budget, that tool will further enhance their understanding of the impact of certain decisions as they build their budgets. Questica Budget’s Salaries module allows users to really break down the components of salaries. Payroll and associated elements can be calculated on an individual basis and rolled up to a summary level. Running reports with Questica Budget is easy. With over 100+ out of the box reports, the formatting is already taken care of and the reports are designed to contain the data in a format required by organizations like the City of Arvada. With a fully integrated budgeting system the Finance team and Departments always have an accurate picture of their budgets. The system is set to automatically update daily, but users can also update their budgets on demand with the click of a button. Departments can now track their individual budgets and the organization can keep track of the entire budget. The City of Arvada has found Questica Budget straightforward and not at all intimidating. The familiarity of the interface and process was evident from the initial demo and users continue to explore ways to effectively manage their budgets within the system. The City of Arvada has been very pleased with the support they’ve received from Questica during the implementation and in the months following. Although originally concerned with Questica being in a different country and time zone, the level of professionalism and support they’ve received has erased any doubts. Our 24-hour a day support system ensures a timely response to any inquiries the City may have. Thanks to more efficient budgeting, Arvada is brilliant.